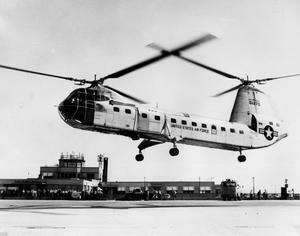 Second prototype of the YH-16 program. 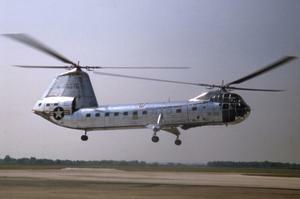 Crashed 1956 due to an mechanical failure of the instrumentation system of the aft main rotor. Cruise Speed: 120 mph (193.121 km/h); Unofficial speed record of 166 mph in 1956. Resources related to the YH-16A Turbo Transporter, provided by the Vertical Flight Society. Resources related to the YH-16A Turbo Transporter, provided by public sources across the internet.